Is there anything more stressful than struggling to fall asleep? When you’ve run out of farmyard animals to count, and the hour can be numbered with a single digit, it seems the longer you lie, the harder it becomes to surrender to unconsciousness. While the first consideration is often physiological, environmental factors could be at fault, and making a few adjustments to your surroundings could make all the difference between sweet dreams and calamitous insomnia. 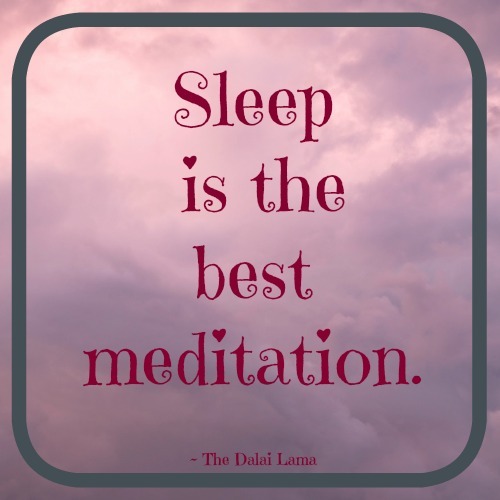 Your brain secretes melatonin, a sleep hormone triggered by natural darkness, so ensure the shades or curtains over any bedroom windows are thickly lined and artificial sources of light have been extinguished to benefit from its full effect. It might be tempting to curl up and indulge your latest TV addiction on your tablet or phone with a little bedtime binge-watching, but it’s not conducive to quiet repose, so make your room a retreat from the stresses of email, missed calls and that latest high score on Angry Birds. Your shuteye is, from now on, a strict no technology zone. Bright colours and patterned wallpaper are too hectic to introduce into the bedroom; they only stimulate your mind and draw the eye. Powder pastels and neutral colours work best. It’s harder to sleep when things feel unfinished, so keep the room pristine and clutter free for utmost chill potential. Often, we’re kept awake by the worries that occupy our thoughts, whether rational, or in the form of chance mental ramblings that will seem irrelevant come morning. Keep a pen and notepad somewhere close to the bed, and if an amplified worry comes to mind, write it down as a promise to yourself to deal with it in the morning. The soft scent of cotton linen, a gentle breeze through an open window, a cup of herbal tea; quality sleep is not about just closing your eyes and hoping for the best, it requires the cooperation of all your senses. Stock up the bedside table with an emergency sleep kit; this might include scented hand cream, a face mask to block out the light and, crucially, a cold glass of water in the event of mid-slumber dehydration. Though very easy to neglect, sleep is critical to your health, and lack of it can cause hypertension, impact hormone levels, decrease your immunity and even make you gain weight! Make it a priority to get the most out of your eight hours a night, and you could see more visible benefits than from changing any other aspect of your routine. I try and make it a point to get my eight hours of sleep or else I feel lousy the next day. Very useful suggestions..must try some of them. This is great advice for those who struggle with sleep. I know many advise against wine or any alcohol to relax one for sleep, but a bit of wine always helps me, and I sleep through the night very well. :) Blessings, Corinne! I will forward this to my mum, who has trouble sleeping! Very inspiring post. I also get sleep with great difficulty. You have given very valuable tips/suggestions. Being a writer is what causes my sleep problems. My head hits the pillow and my characters start whispering in my ear. Darn voices in my head. I stopped drinking coffee and find that I don’t struggle to fall asleep. It could be psychosomatic though, I only had one cup in the morning, albeit HUGE (and really espresso!). I love the idea of the emergency sleep kit! Insomnia is a grave disorder and I feel mothers tend to get the most impacted by this at an early age. The key is still fix a schedule to ensure ample rest is shared by both mother and child. I loved the point of writing down our worries and mental ramblings for the next day.